If by going into the pond, it scares the Koi and stresses them out. 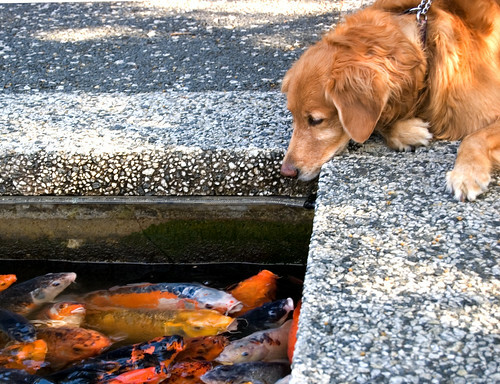 If there are chemicals on the dog, like tick and flea repellent, then that could get into the water and poison the Koi. If the dog physically injures the Koi by bumping into it while it's swimming around or even biting at it.